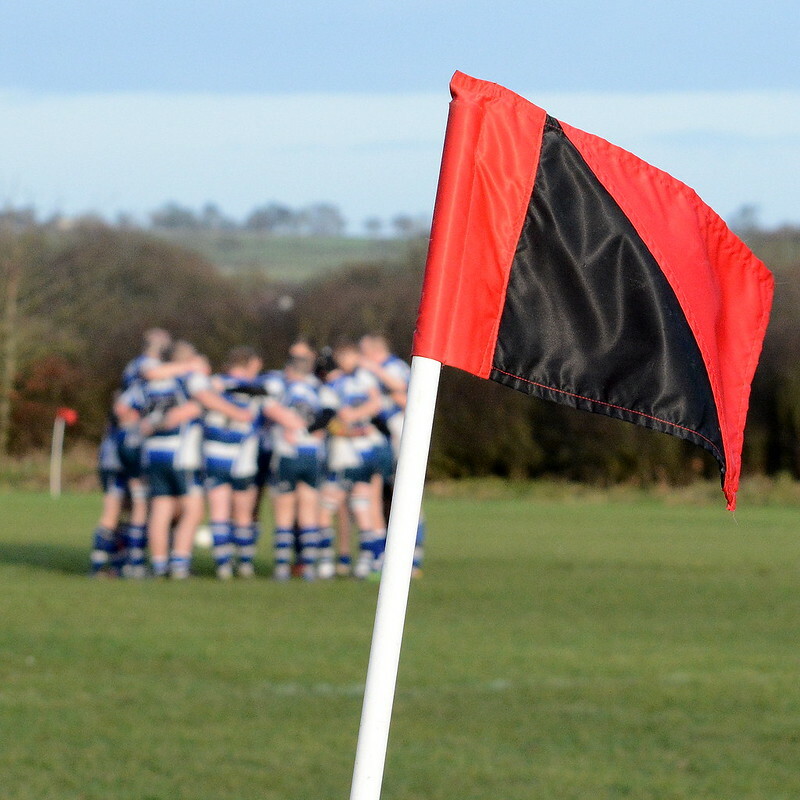 With Mods pitch in remarkably good condition considering the recent heavy rain, the hosts competed strongly in the forwards and the visitors struggled throughout the game against well-organised driving mauls. Despite taking the lead through a converted penalty try, ‘Ensians generally found it hard going against a heavier pack who drove over for two tries in the first half and followed these up with a two more after the break. For the last ten minutes the visitors raised their game to score a good second try, but it was too late to affect the outcome. The hosts started off in style with their pack picking and driving for twelve phases to gain field position, but errors allowed the visitors to use the slope to take play into the Modernians half. They moved the ball wide through half backs Rob Lofthouse and Ollie Eaves to allow full back Kristian Keinhorst to put a kick through for speedy winger Declan Jackson. As he raced after the ball, he was taken out by a Mods player and the referee had no hesitation in awarding a penalty try which was converted by Keinhorst to provide a 7 – 0 lead on 16 minutes. Although the visitors’ scrums and lineouts were generally holding their own against a bigger pack, the home back row were making life difficult for ‘Ensians half backs, so when the ball was moved wide, progress tended to be slow and disjointed. Veteran forward Richard Smith came on to add weight and experience to the visitors’ pack, but there was a setback when a yellow card was awarded against a visiting forward for slowing down play. The Modernians pack capitalised on this and produced a try from a well-organised driving maul and the conversion levelled the score at 7 – 7 on 26 minutes. The hosts continued to compete well up the slope, but errors allowed fly half Ollie Eaves to push play back into the opposition half through long kicks. Modernians missed a penalty and the visitors responded with some good interplay between forwards and backs to create chances, but the home defence was solid and the forwards again managed to work their way upfield to threaten the visitors’ line where they eventually drove over half way out. The conversion failed, but Mods had a 12 – 7 advantage at the break. With their tails up and the slope in their favour, the home side took play into the visitors’ half with some good offloading among the forwards. ‘Ensians defended strongly with flankers Ali Campbell, Greg Manning to the fore and there were some rampaging runs from No. 8 Rob Arbuckle and lock Jack Smith through which they managed to take play into the opposition half. Will Prest came on a replacement winger, but a then a late tackle produced a yellow card against Modernians on 50 minutes. Despite being a man down, the hosts used their pack to push play up to the visitors’ line where quick ball from a ruck produced a try near the posts and the conversion stretched their lead to 19 – 7 on 61 minutes. In defending the line, the visiting scum half and Captain Rob Lofthouse suffered an arm injury and had to leave the field with full back Keinhorst taking over and Connor Bateman standing in at full back. ‘Ensians defended valiantly against almost continuous pressure from the hosts who were battering away at the line for long periods, but another drive by Mods eventually produced a try wide out on 71 minutes. The conversion failed, but the hosts were now 24 – 7 in front. Despite having to reshuffle through injuries, ‘Ensians at last stepped up their game and with strong driving from brothers Josh and Jim Dyson along with Arbuckle and Jack Smith they took play up to the home line. The lively play continued and when the ball was whipped out to fly half Ollie Eaves, he cut through a gap to score a fine try with Keinhorst’s conversion narrowing the gap to 24 – 14 on 77 minutes. The visitors worked hard to add to their tally, but the Mods’ defence remained sound until the final whistle. This was a lively encounter with the heavier Modernians’ pack having the edge in the loose and their all-round solid defence preventing the visiting backs from showing their paces. For their part, ‘Ensians showed patches of spirited play from limited possession, but too often ball was slow and passing laboured which meant that their moves failed to threaten.